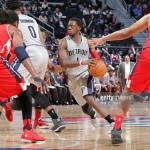 The Washington Wizards were eliminated from playoff contention on Friday when losing to the Detroit Pistons, but Randy Wittman wants to have “pride in playing” these last three games. For the third straight game, and probably rightfully so with nothing to play for, John Wall sat out with a sore right knee. 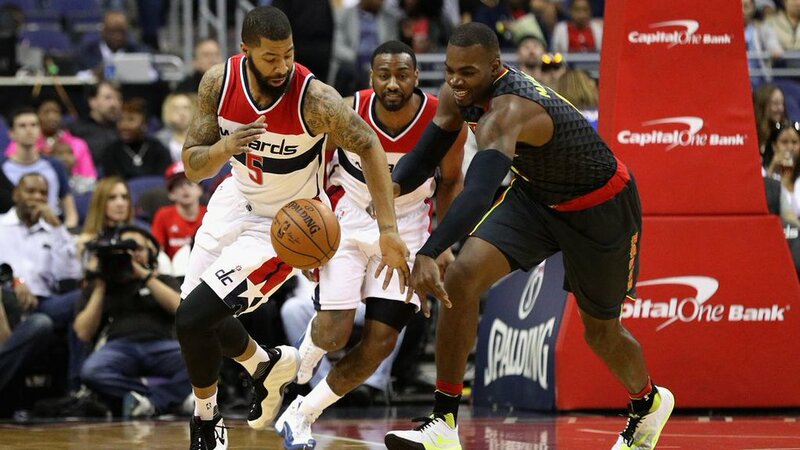 Too add onto further injury, after one quarter of play that Washington would lose their other starting guard, but that did not stop the Wizards from playing hard. Behind an efficient performance from Marcin Gortat, 10 of 11 for for 21 points, 13 rebounds, and four assists, the Wizards dominated Charlotte on their way to a 113-98 victory. You could argue that there was nothing to play for, but that did not stop the Polish Machine from opening the game 5 of 5 from the field, while grabbing seven rebounds in the quarter. When bench players starter to enter the lineup, Washington’s defense suffered allowing Charlotte to get better shooting looks. After Hornets’ Marvin Williams had to take a seat with two personal fouls early in the game, rookie Frank Kaminsky gave the road team a boost off the bench with seven first quarter points. Behind 16 points in the paint the home team clung to a 28-27 lead after one quarter. For the second game, and only second time this season, the Washington Wizards took the floor without their best player John Wall (sore knee). Needing to win their final four games and having Detroit lose their final three, the Wizards got an opportunity for a two for one by traveling to The Palace in a Friday night matchup with the Pistons. In typical Washington fashion, the road team dug themselves a big hole before getting bailed out by an unlikely source in the third quarter. But in the end it was all about not playing defense against Reggie Jackson who dropped 39 in Auburn Hills. Washington’s season essentially ended today by being eliminated from playoff contention with a 112-99 loss to Detroit. If Washington was going to have any shot of miraculous squeaking into the playoffs, they would need another efficient performance from Bradley Beal who scored 25 points on 15 shot attempts against Brooklyn. Things looked good for the Panda early on when he scored seven straight Wizards points, but then things dropped off for the road team. Following a Stan Van Gundy timeout, Detroit went on a 13-2 run behind 7 of 9 shooting from beyond the arc in the first quarter. 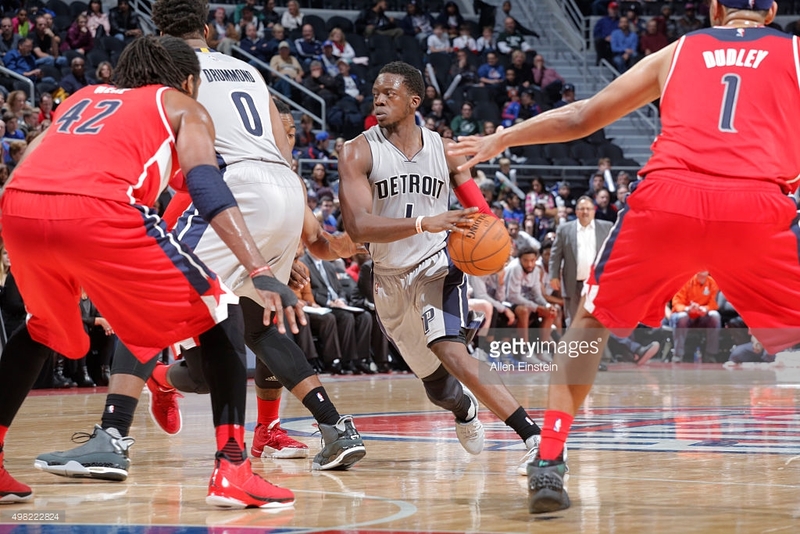 Reggie Jackson and Tobias Harris combined for 27 points and Washington trailed 39-25 after twelve minutes. 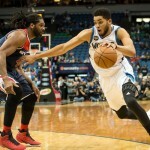 It is likely that the Washington Wizards are going to want to forget about the 2015-2016 season once it is all said and done. They will probably have no draft picks and miss the playoffs for the first time since 2013. In Blake Griffin’s first game since Christmas Day, following a quad tear, broken hand, and four-game team suspension, it was the backcourts that defined the game. 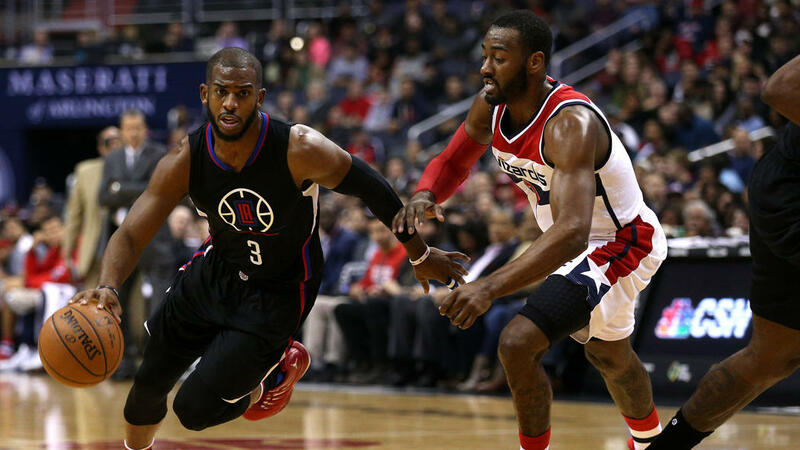 Washington’s House of Guards were a combined 7 of 28 from the field for just 23 points, while the Clippers guard combination of Chris Paul, J.J. Redick, and Jamal Crawford dropped 64 points on 23 of 44 shooting. 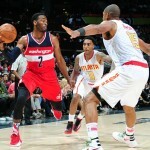 The Wizards hung around for much of the game but eventually lost 114-109. 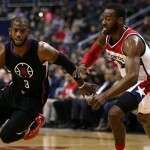 The pick and roll defense was horrendous for Washington to start the game as the Clippers made their first four shots. Behind a 4 of 4 start from the field from Redick, Los Angeles took a commanding 21-8 lead. John Wall exited the game just over four minutes into the game with two personal fouls before picking up a technical on the bench. Randy Wittman was close to getting a technical foul before Markieff Morris actually did as the Wizards were frustrated by officiating frm young referees. Paul finished the quarter with 9 points and 5 assists as the Clippers led 33-23 after one quarter. The Washington Wizards’ victories after the lottery bound Philadelphia 76ers and New York Knicks were not particularly pretty, but it got the job done. 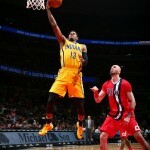 Next up was the difficult task of beating the Atlanta Hawks on the road where they have lost 14 of their lost 15. That record improved tonight as the Wizards had one of their best offensive performances post all-star break. In another balanced scoring attack, all five starters in double figures, the House of Guards poured in 52 points. Bradley Beal looked like his old Blue Magic self with 25 points as the Wizards pulled away late for a 117-102 victory over the playoff bound Hawks. Washington got off to a hot start by making their first three field goals and jumping out to a 7-0 lead. 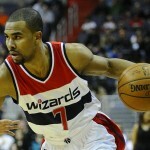 The ball movement was superb in the early goings with seven assists on the Wizards first seven made field goals. 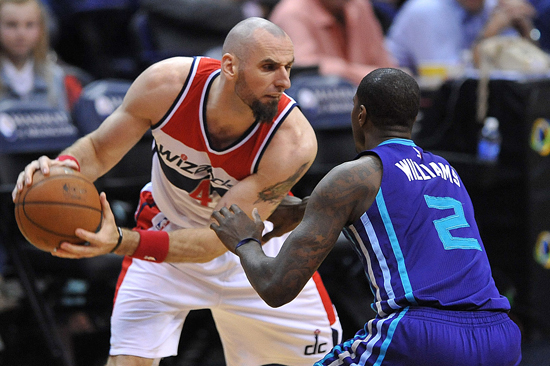 Marcin Gortat led the charge with 6 of 8 shooting from the field in the opening quarter. 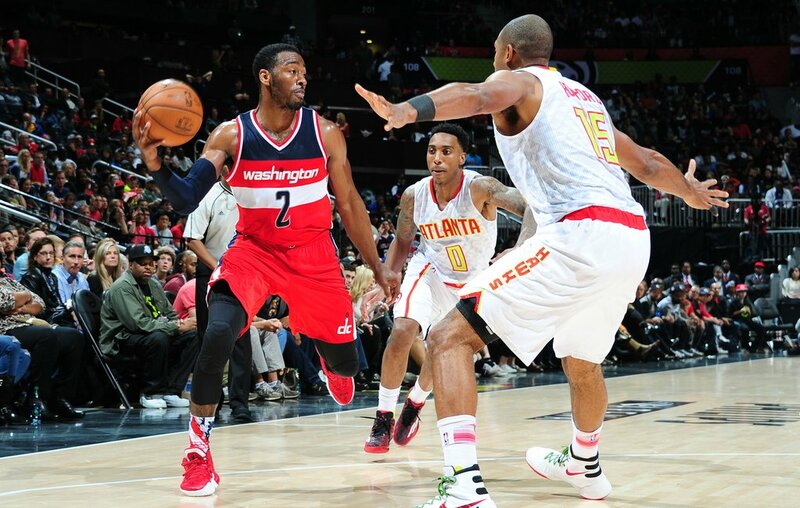 The hot start did not continue as John Wall and Otto Porter combined for a miserable 3 of 13 shooting in the first quarter, while the Hawks hit four 3-pointers with inside-out passing. After twelve minutes of play the home team had a 30-27 edge by finishing the quarter on a 14-6 run. 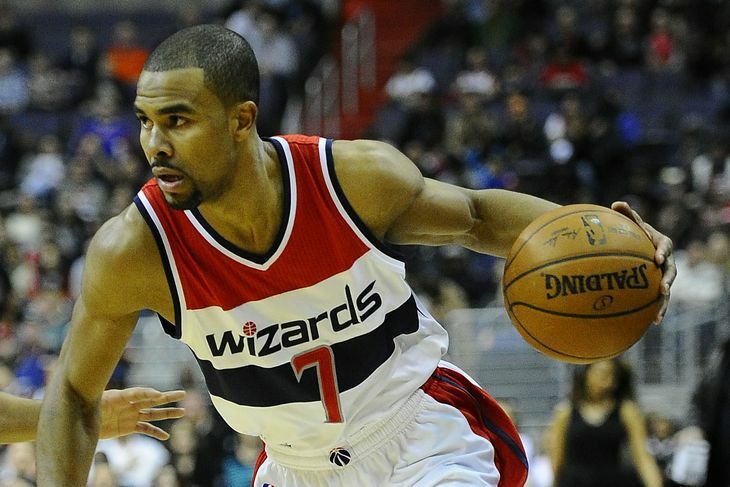 Coming off an extremely disappointing three-game West Coast trip, the Washington Wizards are on a five-game skid. On the other hand, the Detroit Pistons, 3.5 games ahead of Washington for the eighth and final playoffs spot, have won 7 of their last 10. If there was any chance of the Wizards making a late season surge, they would have to defend their home court against the Pistons. Every time the Washington Wizards embarrass themselves and everyone is writing them off from playoff contention, they do something spectacular that makes you scratch your head. That is exactly what happened at Verizon Center tonight when the Wizards made fools of the Pistons. 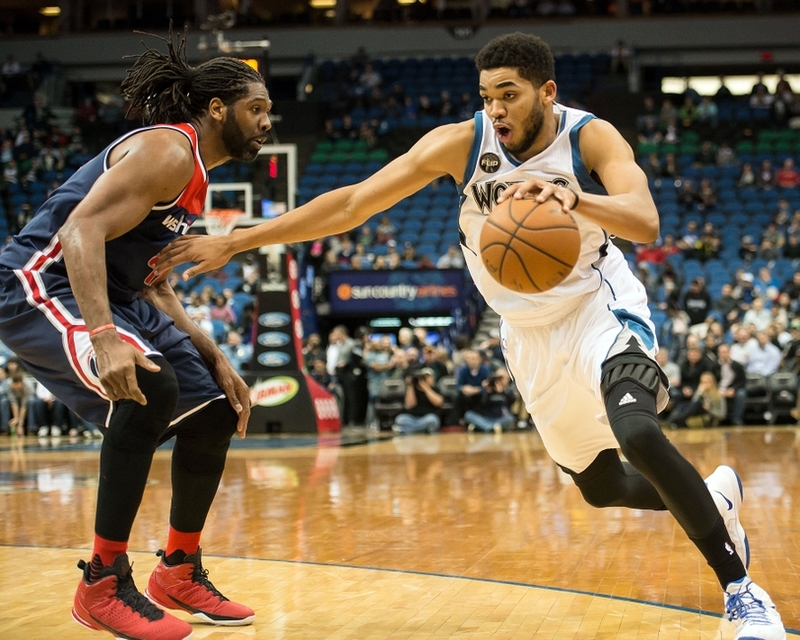 Washington led from start to finish with efficient and balanced offense. leading to a season-high in points, complemented by suffocating defense on their way to 124-81 beatdown of Detroit on national television. Almost as important as the win is the Wizards securing a tiebreak over the Pistons, essentially putting them one less game back of the playoffs. Last night the Washington Wizards were embarrassed by the conference leading Cleveland Cavaliers on national television. 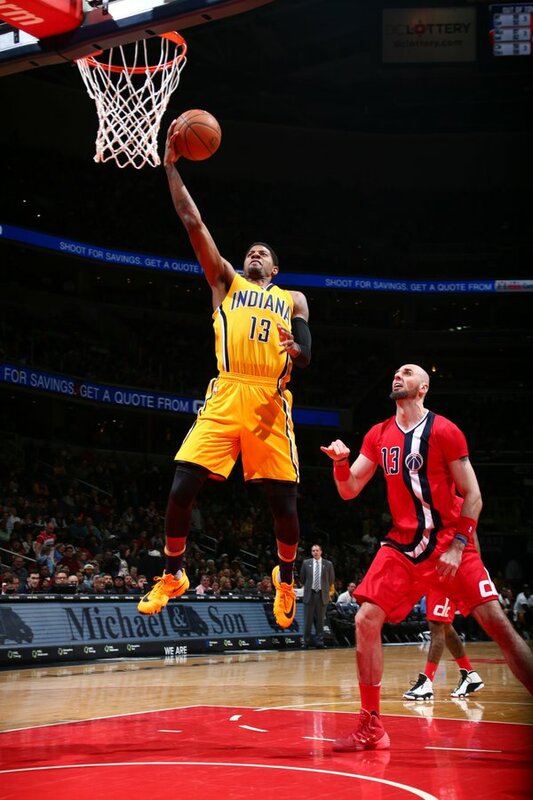 On the second end of a back-to-back, the DC franchise was hoping to get back on track with an important matchup with the Indiana Pacers, the conference’s current seven seed. Randy Wittman understands the importance of the game because it is a four game swing when taking into account that the winner gets the season tiebreak. Following Bradley Beal starting in the second half against the Cavs, the Florida product was back in the starting lineup for the first time since February 11th. When the Cleveland Cavaliers visited the Washington Wizards last Sunday, it was no contest with LeBron James getting the day off. Tonight the defending Eastern Conference champions had another member of their “Big Three” sit with Kevin Love sitting. Washington kept things competitive in the first quarter on national television but it was no contest the rest of the way. Cleveland got a balanced scoring performance with six players in double figures while Washington saw players not named John Wall shot 36.9 percent from the floor. Washington has not been over the .500 mark since two games before Thanksgiving on November 24th and that streak continued tonight with a 108-83 loss. It was an evenly matched game early on as both teams missed their first three shots each before the game being tied at 6 apiece with 7:33 left in the quarter. Bradley Beal came into the game for a struggling Garrett Temple, but immediately committed back-to-back turnovers leading to run out James dunks. As a part of Cleveland’s 8-0 run, Randy Wittman burned a timeout when Washington got down 16-7. While John Wall sat with two personal fouls, Beal attempted to make up for his early woes with eight points in the quarter including two from beyond the arc. Kyrie Irving had eight points of his own which secured the Cavaliers 27-23 lead after one quarter of play.